Rather than simply defer replacement purchases to meet short-term budget balancing goals, many school administrators should use potential fiscal challenges to trigger a thorough reappraisal of their district’s approach to fleet replacement. In countless school districts across the country, looming proposed state budget cuts will hit districts hard and could leave the most hard-pressed school districts broke. As a result, school bus fleet replacement planning and fleet funding levels have taken a serious hit. Unlike employees, school buses don’t talk back when officials decide that trimming fleet size or postponing replacement purchases is a good way to help balance an organization’s budget. We all know that there is an inherent trade-off between fleet capital and operating costs: spend more on replacement so as to replace buses sooner, and operating costs will be lower and residual values higher; spend less on replacement, however, and the reverse will be true. But such trade-offs don’t occur so quickly that most districts can’t “save” money in a given fiscal year by postponing replacement purchases. Over the long-term, however, such school districts do risk increasing their overall fleet costs by curtailing replacement spending too much in the pursuit of short-term budget savings. Depending on the current age of a given fleet, the supposed savings from such actions may prove to be nothing more than a temporary, costly illusion. While state funding challenges often serve as a useful corrective to the unchecked increases in fleet size and fleet-related spending that can occur during economic boom times, school administrators should work very hard to try to prevent them from doing lasting damage to their fleet replacement plans and, as a consequence, to the performance and total cost of ownership of their fleets. Even during good economic times, securing sufficient funds to replace school buses in a timely manner is a challenge for many districts. This occurs despite the unique condition that, in many states, the maximum age for a route bus is defined in regulation. As a result, the manifestation of poor replacement planning in these locations is an increase in the average age of the fleet as school districts defer everything except the replacements that are required by regulation. The consequence of this is a set of budget requirements that are inherently lumpy and that do not reflect the manner in which revenues come into school districts. As a result, there is a need to consider other options that better match the expenditure needs with the funding structure in school districts. Most school districts consider one of two methods of financing. The first is using cash, which is essentially the amount appropriated to the department each year. The major issue with this approach is that when you finance with cash year-over-year replacement funding needs will be every bit as volatile as are spending needs. This is because cash financing involves paying for a school bus in full at the time it is acquired and placed into service. Many organizations pay for buses with cash because they believe it to be the cheapest way to replace their fleet assets. There are no interest charges involved in using this financing method, as is the case with leasing, loans, or other types of “pay-as-you-go” financing. Thus, it would seem to be an economically as well as fiscally prudent way to acquire school buses. Such thinking overlooks the fact, however, that the use of cash to finance fleet replacement costs creates volatile funding requirements and makes it more unlikely that you will get significantly variable funding amounts over a long-term horizon. The other primary financing mechanism used by school districts is leasing or other debt financing. This approach allows an organization to spread out the capital costs of buses in its fleet over a period of several years. Rather than accumulating reserves internally to pay for the purchase of replacement buses, however, these approaches involve tapping into the capital markets through financial institutions or dealers for the money needed to acquire school buses. A major virtue with leasing is that it eliminates most of the volatility in year-over-year replacement funding requirements. This approach does a much better job of reflecting the way that school districts receive tax revenues, and departments ultimately receive their appropriations. Opponents of leasing and loans argue that the “hidden” cost of interest charges make leasing a bad alternative and more expensive over time. There is no question that interest charges included in lease payments increase the cost of acquiring a school bus. It is far less clear, however, that leasing increases the total life-cycle cost of a school bus. If leasing allows an organization to replace buses in a timely manner that it otherwise would keep in service for too long, interest expenses incurred under a lease or loan financing program are likely to be more than offset by increases in school bus residual values and reductions in maintenance and repair costs. Given the shrinking and shrunken budgets with which many organizations are grappling due to the Great Recession, a willingness to shift from pay-before-you-go to pay-as-you-go financing may make the difference between maintaining an effective fleet replacement program based on the economic principles of optimal school bus replacement discussed earlier, and undermining such a program and the impact it has not only on direct school bus capital and operating costs, but on bus availability, reliability, and safety as well. 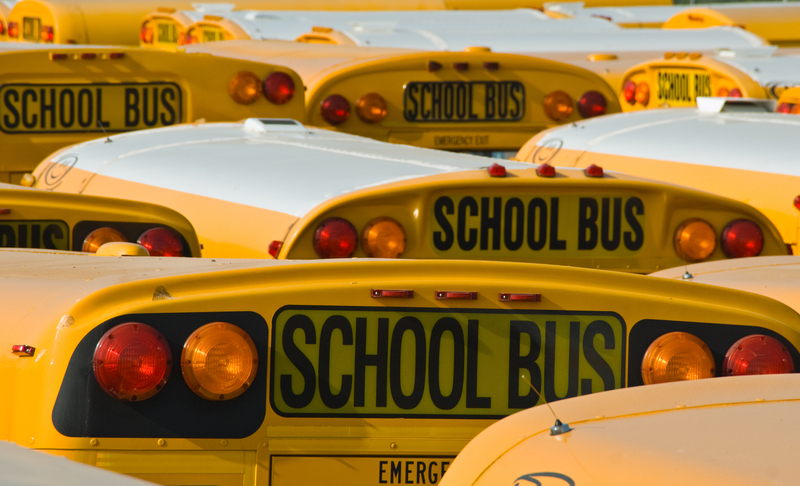 There is no single “best” approach to financing school bus fleet replacement costs. Each of the approaches discussed here has considerations and concerns from a fiscal, economic, administrative, and political point of view. The relative importance of such factors varies from organization to organization depending on the circumstances they currently face. It is clear, however, that the fiscal challenges facing many school districts today, and the threat they pose to fleet replacement spending in these organizations, warrant the consideration of new ways of doing business. Fleet replacement spending is an easy target for budget cutters, notwithstanding its importance to the operation of safe, economical, and reliable school buses. Identifying a financing mechanism that provides predictable long-term funding requirements, the timely replacement of buses, lower total costs of fleet ownership, and immediate budget savings are the considerable opportunities available to school districts if they are willing to reconsider their historical funding practices.